Throughout the renovation process, we’ve uncovered so many fascinating components of The Old Post’s history through personal anecdotes and within the building itself. Our friends at the Harriston Historical Society share our passion for the community’s heritage and the significance of the building, and have been generous with their research, insight and knowledge. 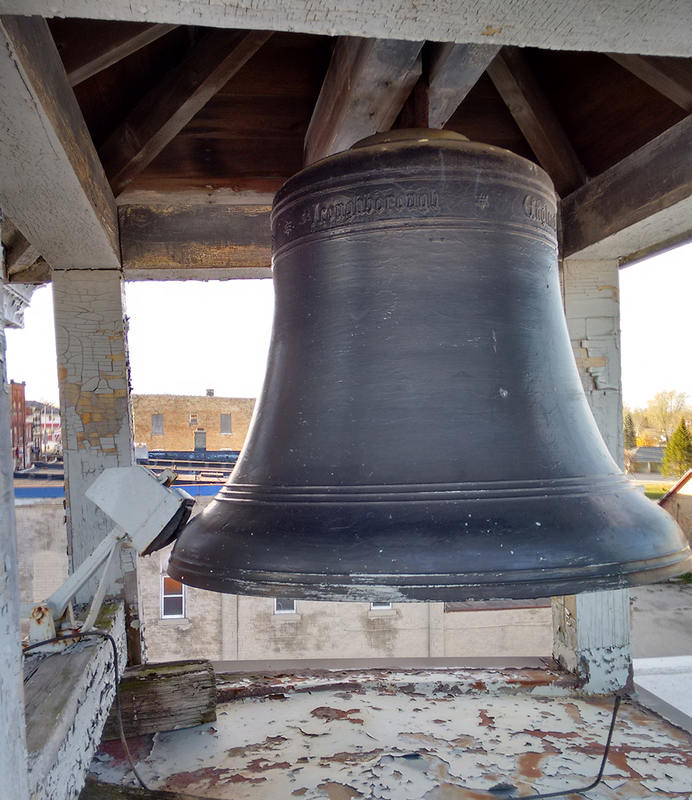 Ever wondered how the post office bell came to be atop the building? Here’s the scoop! Prior to World War I, many bells were cast by John Taylor & Co. of Loughborough, England, destined for post offices in Canada. The Harriston Post Office bell was cast in 1912. 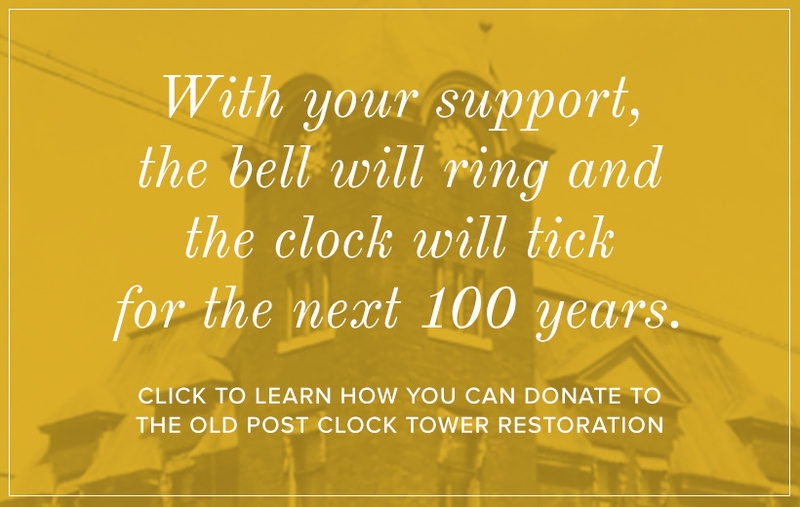 Post office clock makers Smiths of Derby & Joyce in Whitechurch, England, shipped the bell to the “Caretaker of Public Buildings, Harriston, Ontario” on December 12, 1912. The bell cost 56 British pounds to ship. 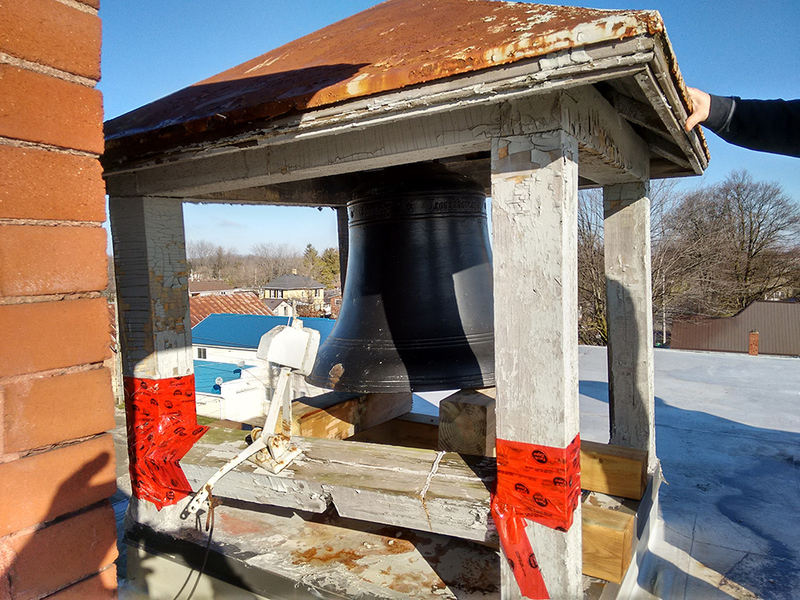 The bell made its way to to Newfoundland on the S.S. Corsicau, and then on to its final destination in Harriston. The style and pattern of the bell are identified by the number 236 on the rim. 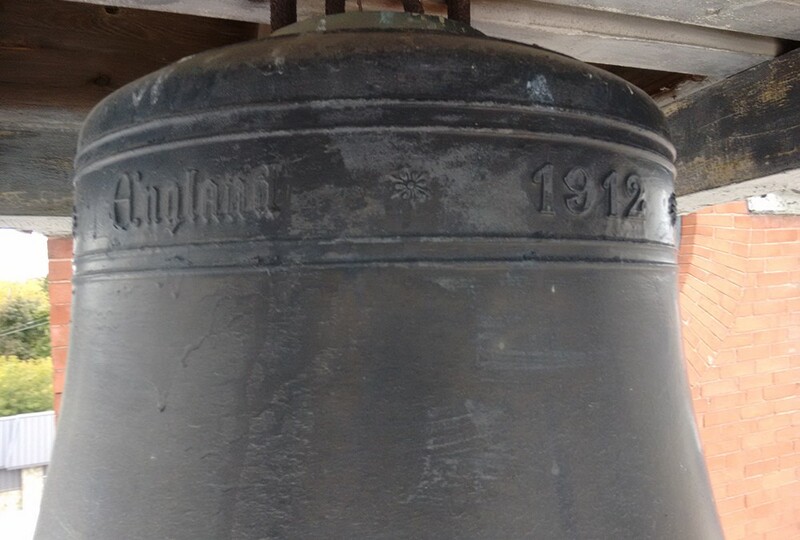 There were only 4 of this style made, and the other 3 bells remained in England. It’s safe to assume The Old Post’s bell is the only one of its particular style in Canada! Want to hear the bell ring again? Make a donation to our fundraising campaign. Here’s how! Special thanks to Mark McKenzie of the Harriston Historical Society for his research on The Old Post’s bell.